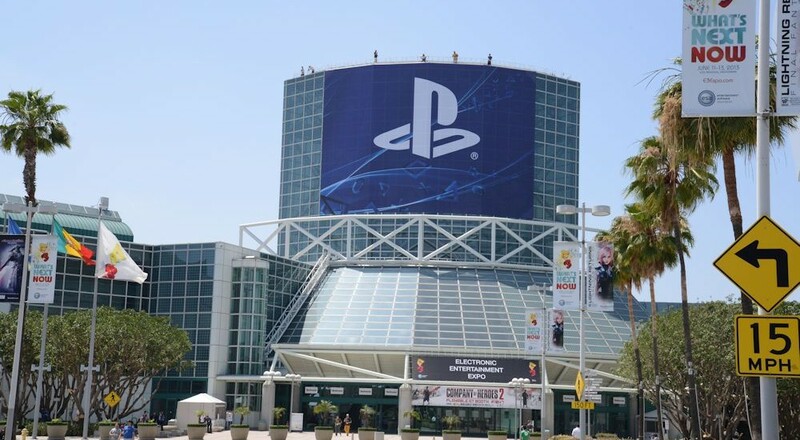 Co-Optimus - News - Win Passes to E3 2015 Courtesy of 505 Games and Co-Optimus! Win Passes to E3 2015 Courtesy of 505 Games and Co-Optimus! PAYDAY 2 by Overkill and 505 Games Sends Three lucky winners to E3! Let's face it, you've always wanted to go to E3. The warm glow of the LCD screens, the glitz and glamour of hundreds of the latest games, and rubbing elbows with some of the biggest names in the industry. Now's your chance. Today we are giving away THREE SETS of passes to E3 2015 in Los Angeles on June 16th through June 18th. That means you and one lucky friend will be able to get your hands on some of the latest games before anyone else! How are we doing this? 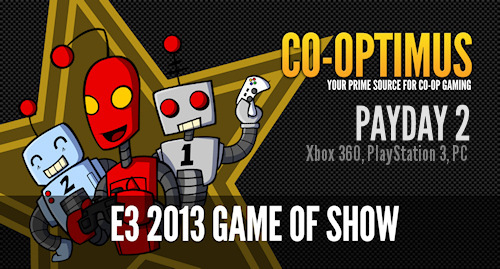 Thanks to the awesome folks over at 505 Games that's how who brought us the E3 2013 Co-Op Game of Show...PAYDAY 2. On display from 505 will be the upcoming PAYDAY 2: Crimewave Edition for Xbox One and PlayStation 4. Now you get the next-gen version jam packed with two years of DLC. Also on display is the upcoming co-op shooter from Overkill based on the Walking Dead franchise. Of course it's not just 505 Games at E3, the latest from Microsoft, Sony, Nintendo, EA and other publishers should be on display. There's Halo: Guardians, Call of Duty: Black Ops 3 which ushers in proper co-op, and many more! Here are the rules - You must be 18 years or older to enter. You must provide your own transportation, lodging, food and whatever else you need to get to and live at the show. That means ideally you live on the West Coast and within distance of the show! You agree that you are not in anyway affiliated with 505 Games, Overkill and/or Co-Optimus. If all that's good, sign up below using the fancy widget and increase your chances to win. We'll draw 3 random winners on Wednesday, June 10th! Good luck! Page created in 0.7565 seconds.